Alcohol consumption is one of the reasons for bringing disharmony in people life. It can be your husband or your son, if someone gets into the habit of drinking regularly it is bound to ruin family happiness. The person who is in the habit of drinking will ignore family and children. Will suffer in his career and some may also indulge in unscrupulous activities to fulfill their addiction of alcohol. Alcohol addiction is basically of two types. The first type of alcohol addiction is where a person is totally dependable on alcohol. This is the type where a person picks up the glass of alcohol, the very first thing in the morning. He she is so depended that he /she cannot get out of bed without having a drink. If the person does not get alcohol he is irritated, aggressive and abusive. Such people certainly need to go to a rehabilitation centre as they can develop serious health complications. The second type of alcohol addiction is when a person drinks for enjoyment. Such people generally drink in the evening or in company of friends and associates. Such people are easy to handle as they are not compulsive drinkers. Given below are some simple solutions which you can do for helping your life partner, husband, Son to get rid of the habit of drinking alcohol. 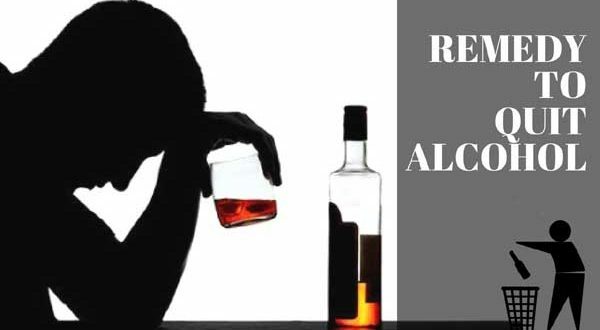 Certainly if you are a person who understands the long term health issues related to alcohol and wants to quit this habit can also do the remedies him/herself. First of all the native can take help from Homeopathy which has medicines which can help to get rid of alcohol addiction. Consulting your doctor before taking the medicines given below is important. SPIRTAS GLANDIUM QUERCUS – is a good homeopathy medicine for this purpose. However I would suggest that you take advice of a homeopathy doctor who would prescribe a correct dose and duration of taking the medicine. SELENIUM 30 – This is another homeopathy medicine which can be given to a alcohol addict. This medicine is helpful as it removes the craving for taking alcohol. Do consult the correct dose with your homeopathy doctor for the given medicines. Mantra and Lal Kitab Remedy to quit drinking alcohol. The person should purchase the alcohol and come home. Open the bottle and put the entire content in toilet and flush the content. This remedy should be done for 4 consecutive Saturdays by the person who wants to quit the habit of drinking alcohol. When the person is drunk and sleeping, a family member should take a dry coconut and rotate around the head of the drunk person while reciting the mantra “OM Hreem Yam Yashvarraye Namaha” 108 times. Do this remedy every time your husband comes drunk. Another remedy which should be done by family members. Buy a bottle of alcohol, similar to the one which the person drinks. Offer half bottle to Lord Bhairav. Bring the bottle home and when the person is sleeping, rotate around the head 21 times and keeping reciting the mantra “Om Namo Bhairvaaye”. After completing the mantra, go outside of your home and keep the bottle under the Peepal tree. Also I would like to say that someone who wants to quit drinking needs very strong will power. Therefore it is important to counsel them rather than nag or argue them.